Members can access the Journal by clicking here. You will need your Wiley log-in and password (not your Society one). If you have lost or forgotten this the easiest way to access is to go to the Wiley Online Library homepage at http://onlinelibrary.wiley.com. Click on “Log in/Register” on the top right hand side of the page and use your email address to log in. Then click the “Forgotten Password” link to reset your password. 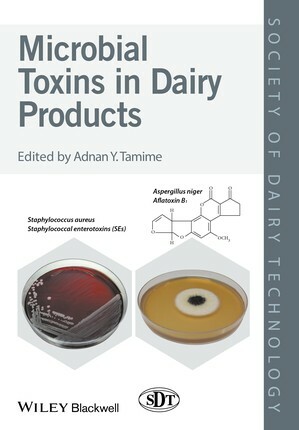 This journal, published in association with Wiley-Blackwell, ranks amongst the leading dairy journals published worldwide and is the Society's flagship. The Journal publishes original research papers submitted from all over the world, consistent with its growing international standing. These contributions are scrupulously peer reviewed, and also scrutinised by the Scientific Editorial Team and the Publications Committee. 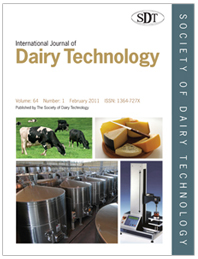 Available now: Journal Virtual Issue "Whey Protein Technology". All articles are free to access and to access them click here. 35% discount on virtually all print books available from our publishing partner, Wiley.To learn more and start saving visit the members only section of the Society webpage. Member Newsletters both electronic and paper. Recent newsletters are available in the publications area. Mintel have created a discount code for SDT members. This applies to their Dairy Drinks, Milk and Cream, Cheese and Ice Cream Report. The code can be found on the members page of this website. If you wish to join the Society you can join online and pay by card or PayPal. You will be directed to PayPal and if you do not have an account or do not wish to create one, simply click the check out as guest option. Alternatively, if you wish to pay by any other method, email execdirector@sdt.org for forms. 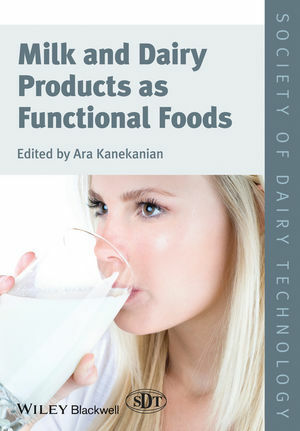 Founded in 1943, the Society of Dairy Technology (SDT) is at the forefront of the dairy and food industries.The Society is the recognised professional body fostering scientific and technological developments in the dairy industries of the United Kingdom and the Republic of Ireland. Whilst its many members are predominantly from these two countries, it also has wider international representation through overseas members drawn from other EU countries and further afield. Our purpose is to advance professional development and recognition through knowledge transfer and networking. Summer Symposium and Annual Dinner 29th July 2019, on the eve of the Nantwich International Cheese Awards as usual. Go to Events to find the dedicated page for this event. Companies can book a table and sponsors for this event are welcome - details on the Annual Dinner web page. The 2019 Annual Dinner will host an Eden Reunion so if you were an Eden Graduate or had any assocation with the course throughout the 10 years it has been running, please join us! Feedback from recent events include: "Thanks for a great event yesterday, look forward to the next one." and "First SDT event the other day and won't be my last. Really good current information for what I am working on". I hope that we shall meet many of you at events during the coming year. Presentations from our events are available to members via the members section of this site and to non-members who attended the events via the guest page. If you are not a member and want to access these, please complete a membership application either online where you can pay by card and get immediate access, or in hard copy and send with payment to execdirector@sdt.org. Once accepted you will be given full access to all of our member benefits! New - ICA/SDT Student of the Year Competition: If you would like to be in with a chance of winning the prestigious ICA/SDT Student of the Year Award get your registration in now! Details of the requirements for the competition are available by clicking HERE The winning student will be invited to attend the Trade Lunch at the Nantwich International Cheese Awards on Tuesday 30th July, where the award will be presented. You may also have the opportunity to have your work published in IJDT. 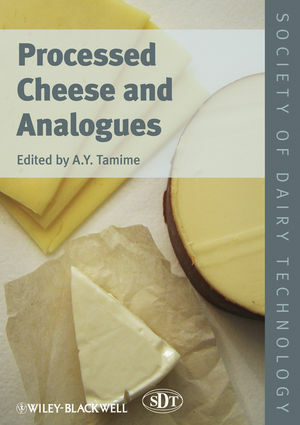 An exciting new publication 'Evolution of the British Cheese Industry' by Nigel White has been made available to members by clicking HERE I am sure that many of you know that Nigel, formerly an Economist, has spent most of his life working with cheesemakers in various roles and more latterly was Secretary of the British Cheese Board from 1995-2015. The pages of his monograph explore the British Cheese Industry from Roman times to present day highlighting key turning points in its development. It is a really fascinating read that you will have difficulty putting down!! Read the latest Newsletter online Go to publications to find the newsletters and they are all listed. Membership subscriptions are due on 1st July. If you pay by direct debit you need take no further action. If you pay by any other method and your subscription is due, you will have received an email with a link to payment by card. BACS and cheque payments are also accepted. You will need to know your log in details to renew by card! 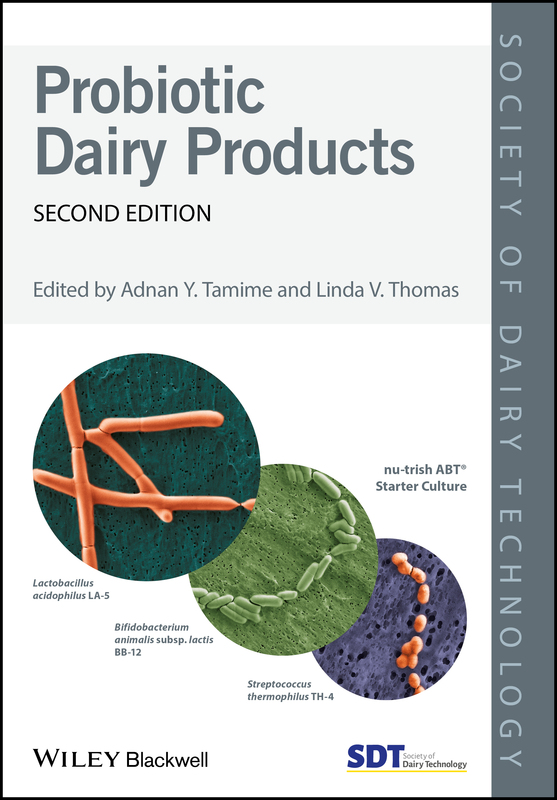 The second edition of "Probiotic Dairy Products" has just been published. See below for more detail and click on the link to purchase at member discount. New! We have added a "job finder" tab to our resources page. Companies can advertise vacancies here for a minimal charge by emailing execdirector as above.Check it out! New! Training courses can be advertised on a new section of our learning page. Details of training courses and e-learning provided by Holchem can be found on this page. Contact execdirector for further information on how to advertise your courses here. 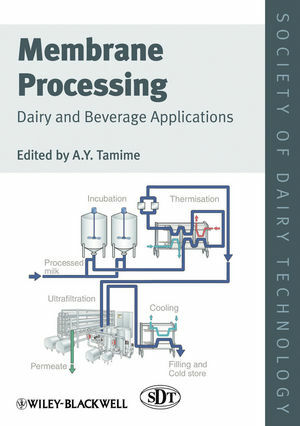 Extended Shelf Life milk processing forms an important part of the UK and European liquid milk product portfolio, the Society of Dairy Technology have always maintained a keen interest in this area and have put together a selection of relevant papers to accompany the Society’s conference held on the subject.